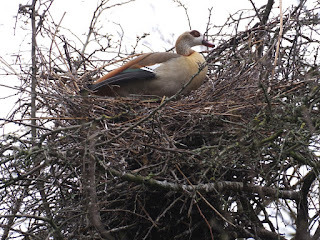 The lower Grey Heron nest on the Serpentine island has been captured by a pair of Egyptian Geese. Once they have installed themselves, it's usually impossible for the herons to get them out. 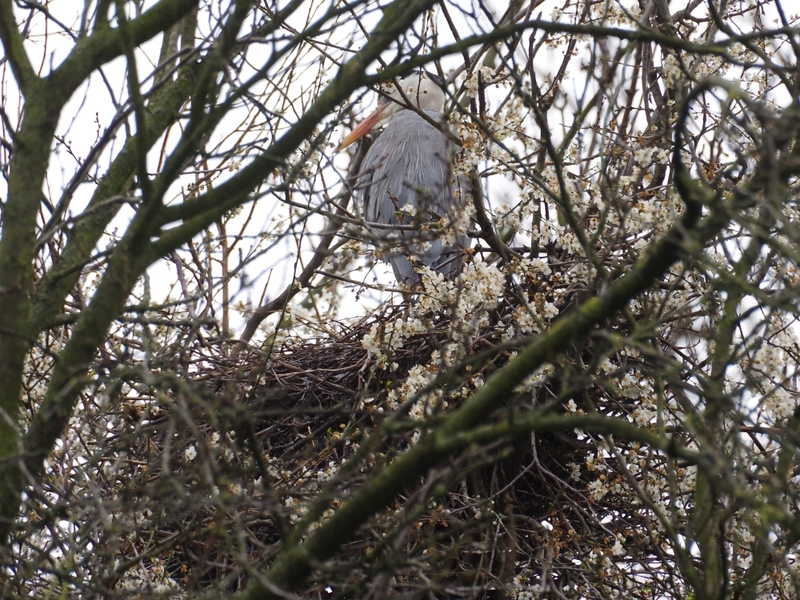 This has badly affected the larger heronry on the island in Regent's Park. 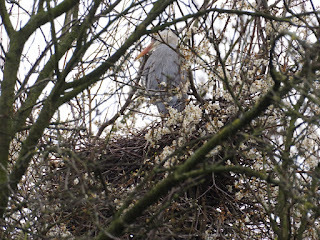 The herons in the upper nest are still holding on to it. Another bit of nest theft, but this one won't succeed. These Great Crested Grebes tried and failed to build a nest on the end of one of the plant baskets that surround the island. A pair of Coots then moved in and, with their superior building skill, managed to fix a nest to the wire mesh. 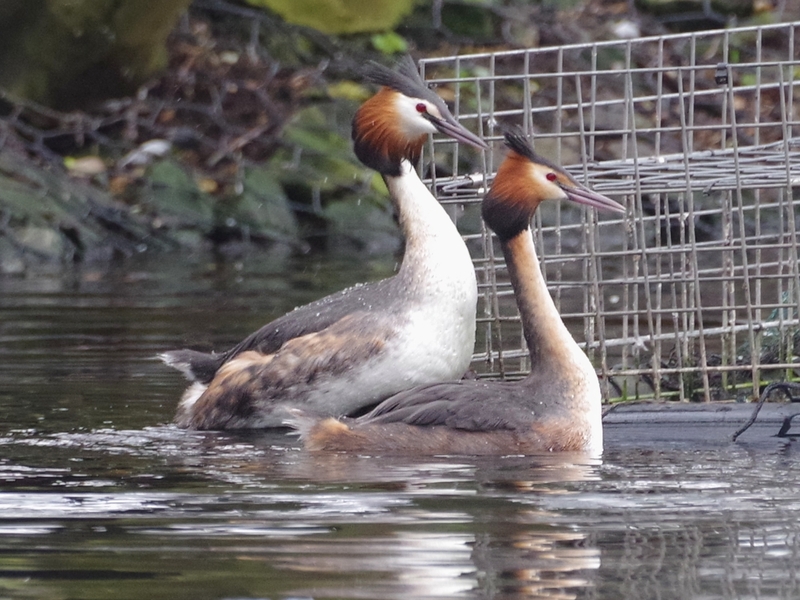 Now the grebes want their spot back. In these situations, Coots always win through dogged persistence. 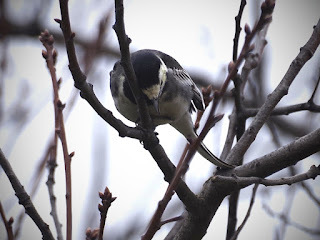 The Parade Ground was busy with Redwings and Pied Wagtails, but something had frightened them and they had flown up into the trees. 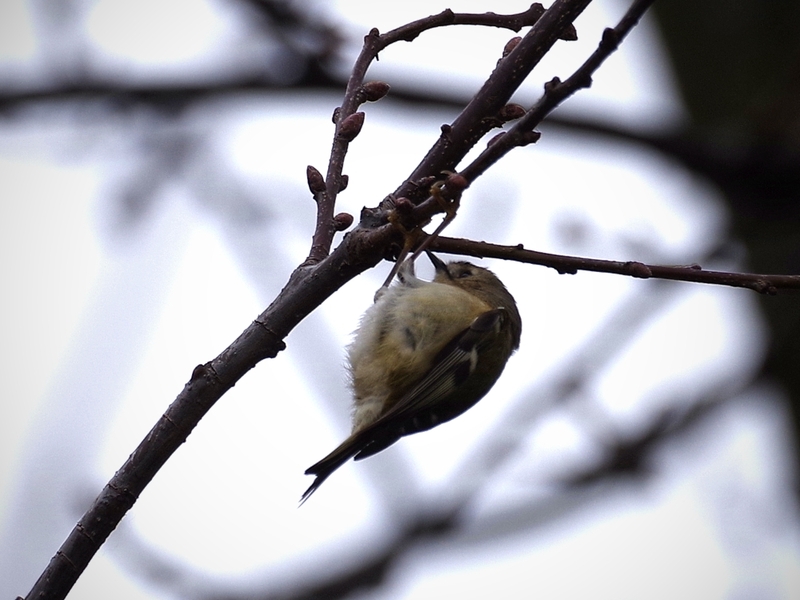 ... and a single Goldcrest. A pair of Robins in the Rose Garden had not quite settled down together, and were still a bit skittish. 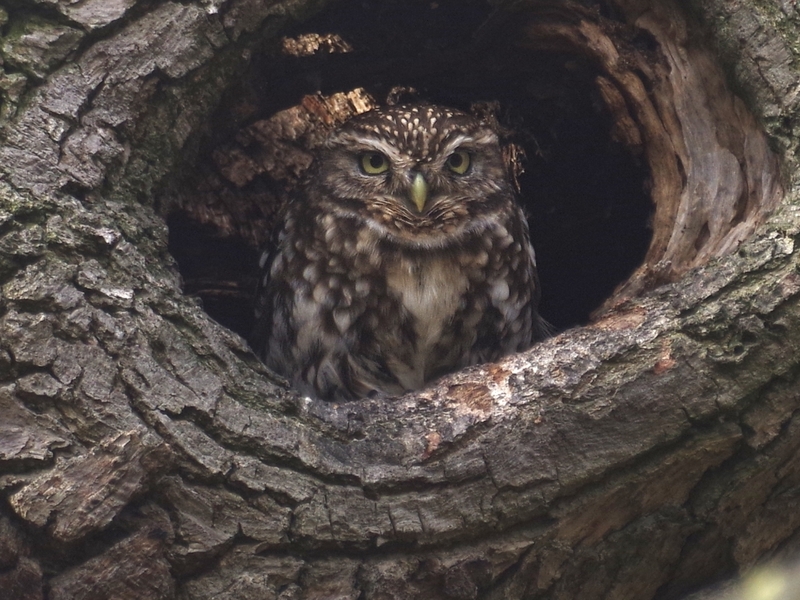 The Little Owl near the Albert Memorial was on top of the branch with her hole in it when I arrived, but immediately flew down into the hole, entering it through the crack on top of the branch, which must be quite wide. The owl near the Henry Moore sculpture was in her usual place. 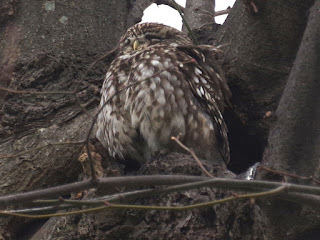 So far there is no sign of Carrion Crows nesting in the top of the lime tree, which drove the owls out last year, and they then nested successfully in a horse chestnut at the top of the hill. At the bottom of the hill, a Wren was hopping around on a tree stump. 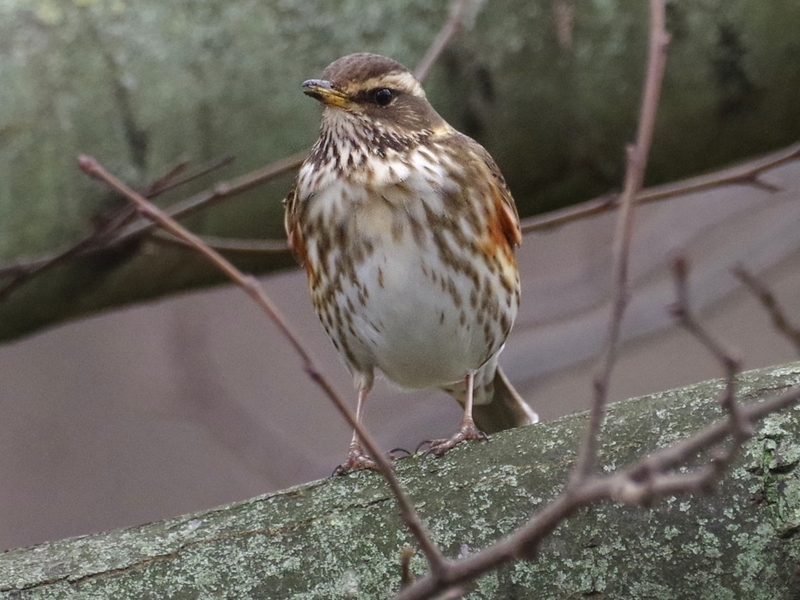 A Song Thrush at Peter Pan had to raise his voice to be heard above the din of Black-Headed Gulls and Rose-Ringed Parakeets. 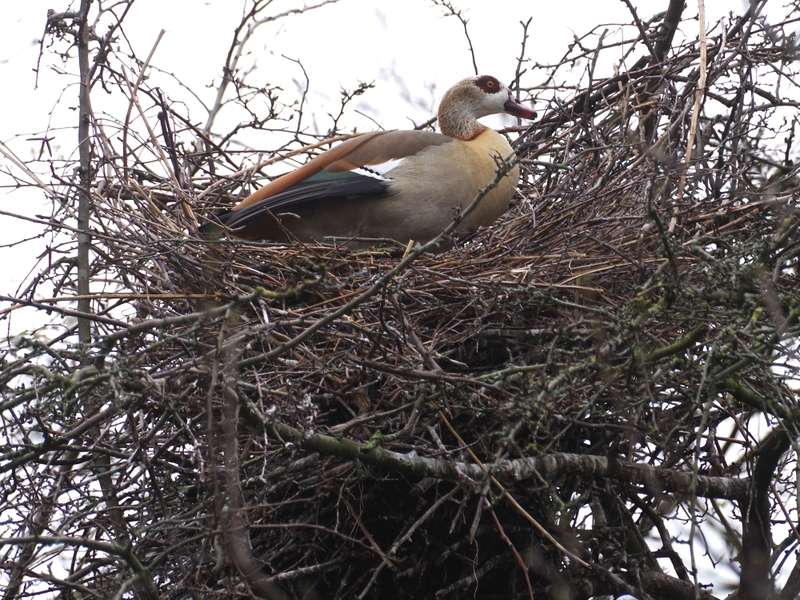 Below it, four Mandarin drakes and two females turned up when they saw someone feeding the waterfowl. 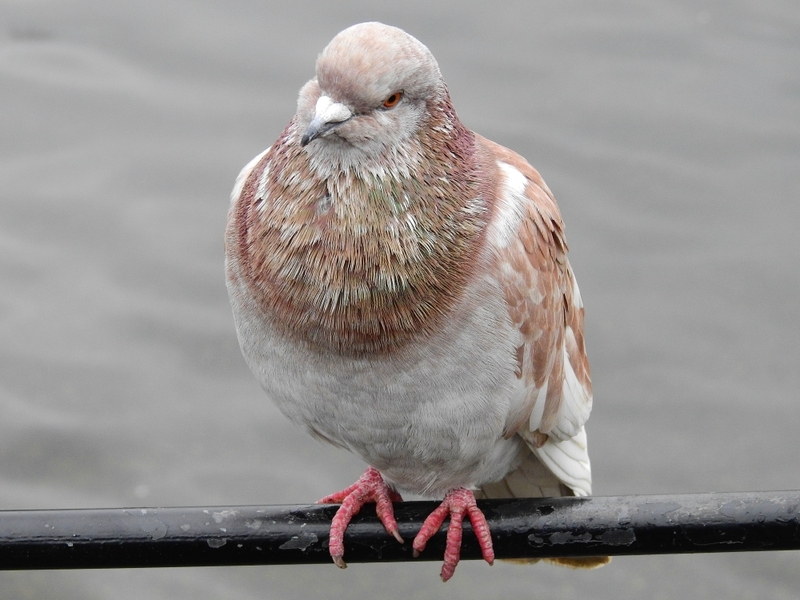 A handsome pink Feral Pigeon perched on the railings. 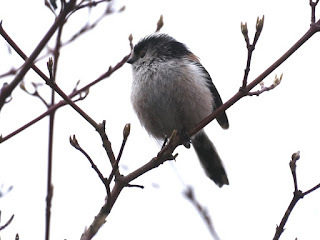 Good to see you can still find some of the smallest birds after the very cold spell - do you think there are fewer now or did they survive well? Impossible to tell. But there are certainly plenty of Goldcrests, the smallest and most vulnerable of all. Squirrels and feral pigeons! Your high standards are in danger of falling!! So sorry. Will try to get as many albatrosses and ostriches as possible into the next post. Don't forget the famous Londonian Harpy Eagles! That pigeon deserves its spot. It's a very dapper and sharp dresser (feather-er?). It would probably be a mistake to expect gratitude from fish. 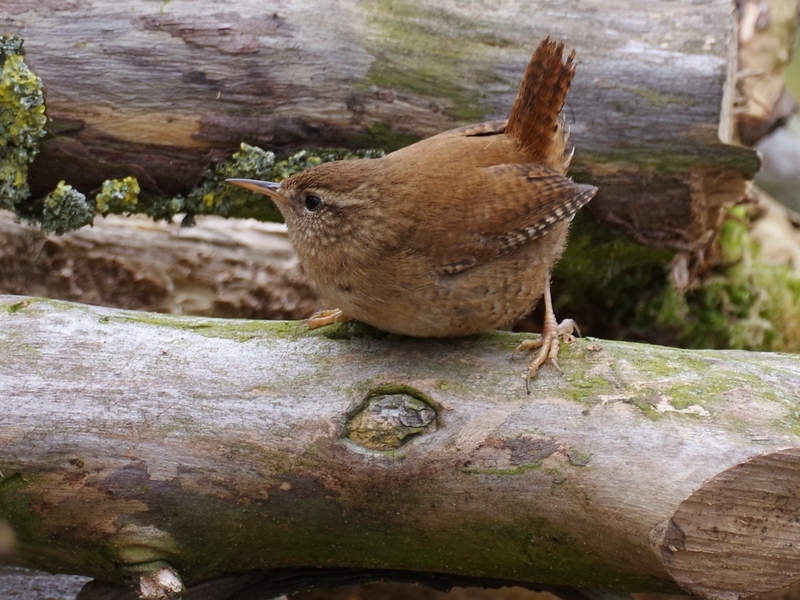 It was a lucky shot as it leaped about.